Thick and chewy Mint Chocolate Chip Rice Krispie Treats decorated for Halloween. 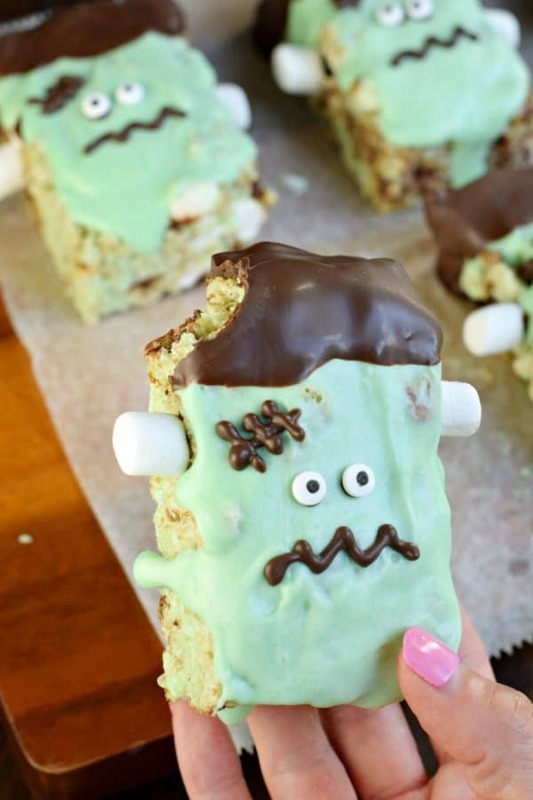 Fun and festive Frankenstein Krispie Treats! It’s Halloween week on the blog! Yes a few weeks early, but only to give you guys lots of fun ideas for upcoming parties! 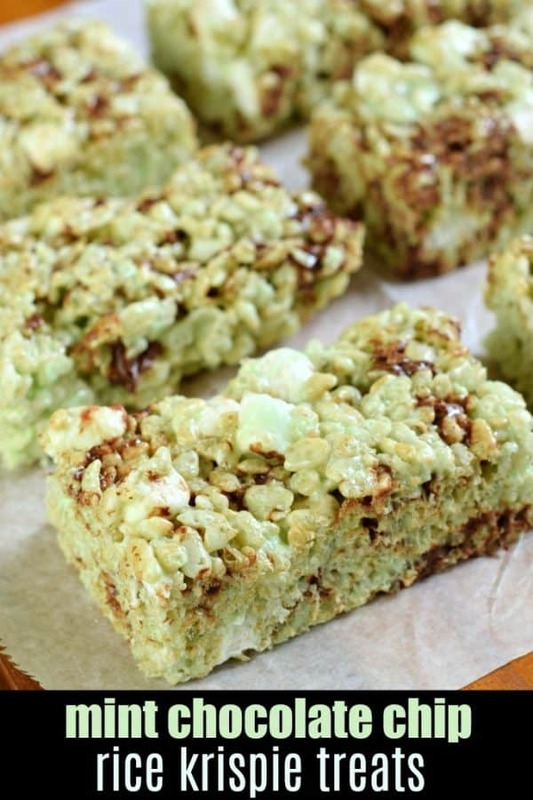 Today, no surprise, is a recipe for Mint Chocolate Chip Rice Krispie Treats. 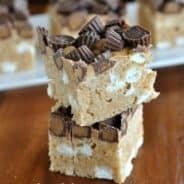 As y’all know I love a good, perfect crispy treat recipe! If you don’t know what makes a “Perfect Rice Krispie Treat” than let me tell you. First, it must be thick. And second, it can’t be dry and hard to bite. It’s got to be soft and chewy! 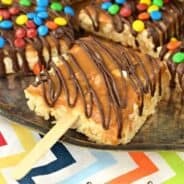 Using my favorite rice crispy treat recipe and tips for how to make rice krispie treats, I went to work to make a delicious Mint Chocolate Chip flavor! I mean, in order to live up to “halloween fun” it had to start off green! Start by melting butter and marshmallow in a large pot over low heat. 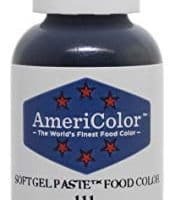 After you have melted your butter and marshmallow together, add in a drop of green food coloring (I love using these Americolor gels in leaf green). Also stir in 3/4 tsp peppermint extract. Make sure to NOT use mint extract, unless you like the taste of toothpaste. Next, stir in your cereal until completely combined. Fold in your extra marshmallows (these help give the krispy treats extra chewiness and keep them soft). Finally, sprinkle in some mini chocolate chips and give ONE quick stir. These will melt slightly, but that’s okay. Press into a parchment paper lined square baking pan (I use a 9-inch pan for these). Don’t skip out on the parchment paper, as you’ll want an easy removal to make the Frankensteins! Allow rice krispie treats to firm up for at least an hour. Remove parchment paper from pan and place on cutting board. Cut your treats in half, then in fourths. You’ll end up with 8 rectangles. 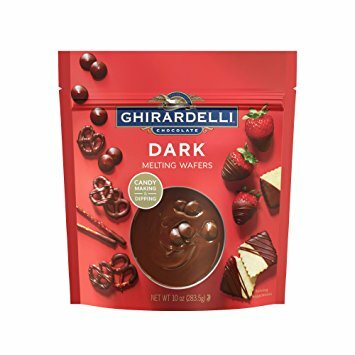 To decorate, melt white chocolate morsels (I actually prefer using this Ghirardelli White Chocolate Wafers) and add a drop of green food coloring. 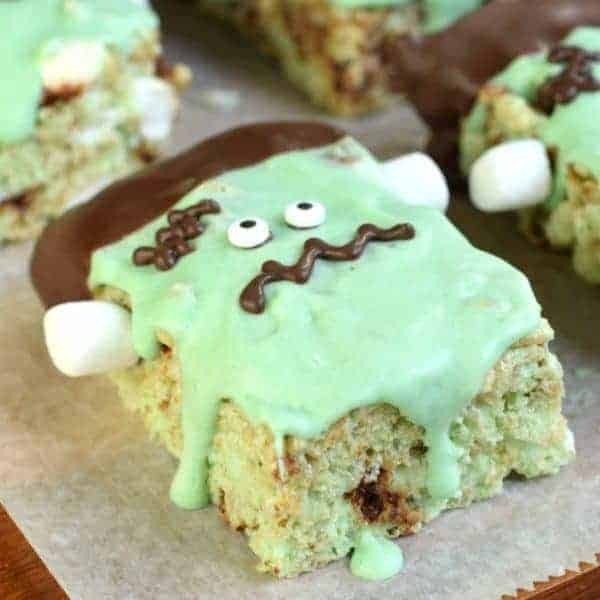 Spread over the tops of your Mint Chocolate Chip Rice Krispie Treats. Allow to set (about 5-10 minutes). Melt your Dark Chocolate wafers and dip each frankenstein head into the chocolate. Reserve the extra melted chocolate to pipe on the scars! Use your remaining melted chocolate to attach mini marshmallow “bolts” to the side of his head/neck. Also attach the eyes at this point. For the mouth and scars, put the remaining melted chocolate in a small ziploc bag with the end snipped off. Pipe on the scar and mouth to each Frankenstein Rice Krispie Treat. Voila. I know you’re wondering, what else can I make for Halloween? Well, in addition to the new recipes coming this week, you can also check out my Halloween recipes on the blog already. For dinner, how about some Rats and Bones? Okay that sounds gross…but I promise the meatloaf is delicious, as our the garlic bread bones! Everyone LOVES cake balls, so why not whip up a batch of these Spooky Eyeball Red Velvet Cake Balls! These Halloween Peanut Butter Cookie Cups start with a 3 ingredient, flourless cookie! Add your favorite candy and make a spooky treat this holiday! Finally, I’ve got the best PUMPKIN CARVING idea. My family thinks it’s hilarious, and I’ve even included the guacamole and pico de gallo recipe! Stop over on my Pinterest page to find more Halloween ideas! Or check out all the delicious Rice Krispie Treats! Line 8 or 9-inch square baking dish with parchment paper. Set aside. Remove 16 mini marshmallows from bag before starting (for Frankenstein neck bolts). Melt butter in a large saucepan over low heat. Add in all but 1 cup marshmallows, and continue stirring until fully melted. 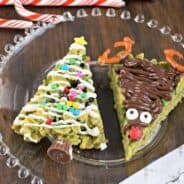 Remove from heat and immediately mix in peppermint extract and 1 drop green gel food coloring. Add in cereal and mix until combined. Fold in 1 cup of remaining marshmallow and mini morsels. Press into prepared pan. Allow to set about one hour. 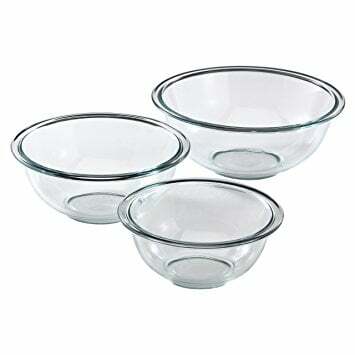 Once set, life parchment paper to remove treats from pan. Place on a cutting board and cut in half, then each half into fourths. You should finish with 8 large rectangles. In a small glass bowl, melt white chocolate wafers in microwave for one minute. Stir smooth and add in one drop of green gel food coloring. Spread over the tops of the krispie treats. In a small glass bowl, melt dark chocolate wafers in microwave for one minute. Stir smooth and dip top of each Frankenstein in chocolate (to create hair). Spoon the remaining dark chocolate into a small ziploc bag. Snip off the end and decorate the face by attaching the candy eyes with a drop of chocolate. Then pipe on the mouth, a scar on the forehead, and one drop to attach the mini marshmallow neck bolts. These are SO cute! My kids love them. Thanks for the recipe! These are darling! I can’t wait to make them with my kiddos! These are so cute! I love a good rice krispie treat and decorating them for Halloween was so creative. I bet the kids love coming to your house for trick or treat. These are literary the coolest and most fun things ever!! Totally making with my kids. Oh my goodness! 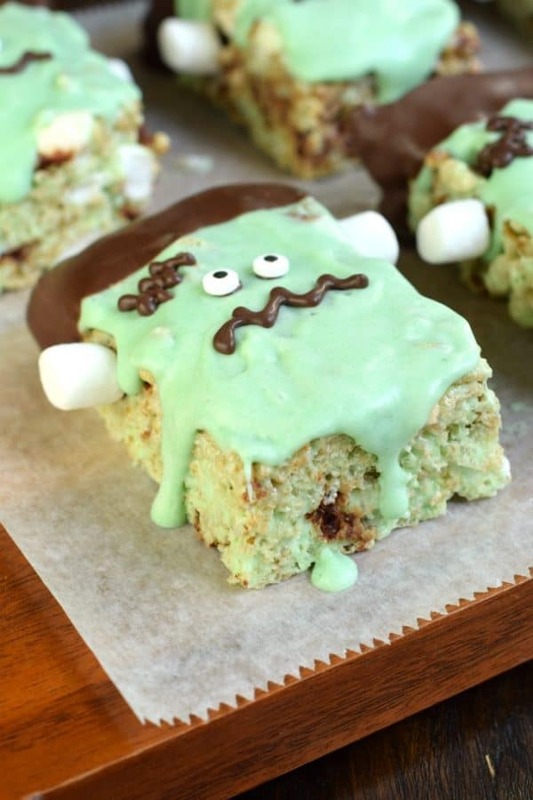 My kids would just love making these and eating them – I’m totally making them for Halloween! 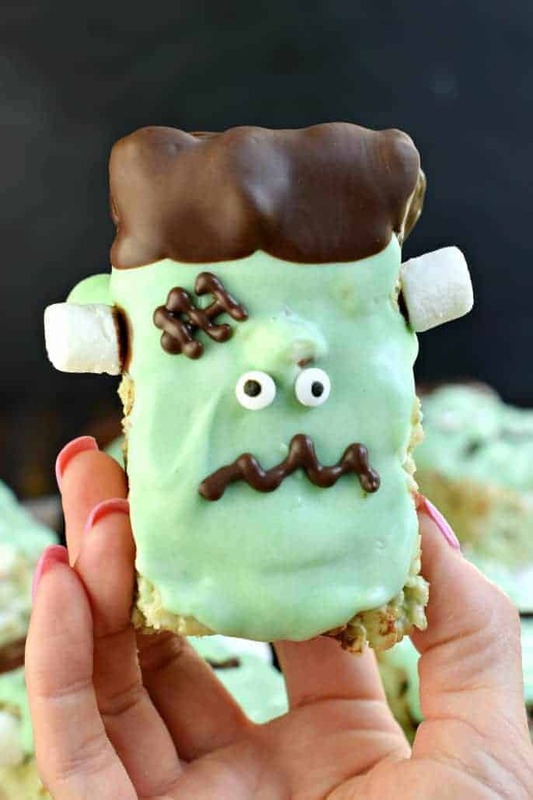 I love how fun and easy these were to make – my kids liked to decorate their own little frankensteins! Such a great Halloween treat! I tried this and my chips melted. They taste great but if the chips melt when you mix them in it kind of takes over the green color with the chocolate. You could try freezing the chips beforehand or just sprinkling them on top.